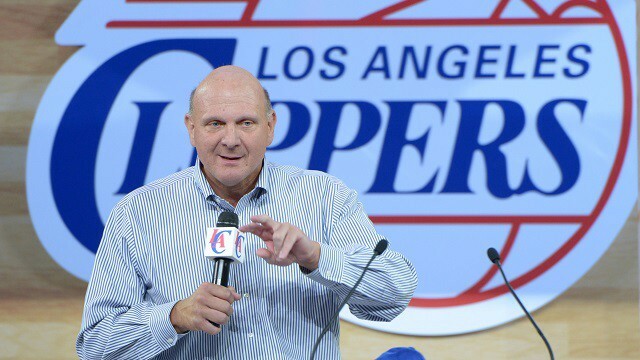 At the recent WSJ D.Live summit, Los Angeles Clippers owner Steve Ballmer was asked about the comparisons between running a tech company and running a sports franchise. Ballmer, who replaced Bill Gates as CEO of Microsoft in 2000 and held the position for 14 years, says the key difference is accountability. “Every 24-seconds you know how our teamwork is, every 24-seconds you can see it” he says, referencing the length of the NBA’s shot clock. Because sports play out in the public eye, individual and collective accountability is heightened, and can be studied in granularity. In business, we generally only see the outcome (sales, profits, etc.) but on the basketball court, millions of fans analyze every pass, shot, and rebound and can even listen in on how the coach is strategizing throughout the game. This hyper-accountability flows down the organization too, with coaches, players, and technical staff all owning their performance in 24-second increments. And while this constant scrutiny may be intimidating for some, there’s a lot we can learn from the conditions it creates. As a leader, your continued employment is tied to each and every 24-second block, meaning you need to become obsessive about the continued improvement of your players. As a player, your habits (good and bad) show up each and every day, and there’s a fairly thorough track record to suggest that if you subscribe to what the team is trying to achieve, you’ll benefit individually and collectively. Conversely, many business leaders (and employees) can coast for months at a time, shielded from accountability by indecipherable corporate layering. No-one can really see when your performance is off until your annual review, at which point you can commit to doing better next year, and the cycle repeats. Ballmer adds: “I find the level of accountability frightfully more powerful that I did when I was a CEO” — a quote that I find telling. The answer, whether you’re in sports or business, is to invest in ways to set your people up for success. Accountability doesn’t need to be a dirty word — accountability breeds a sense of ownership, and we know that people respond better when they feel personally invested. Why not start small, with a trick I learned from Detroit Pistons legend Joe Dumars: ask each member on your team what they are going to be responsible for in reaching your next target? It must be quantifiable, and it’s everyone elses job to keep them accountable to what they’ve committed to. This isn’t to punish people for underperforming, it’s to normalize accountability, ratchet up the communication around performance, and increase the desire to play a key part in the team’s success.